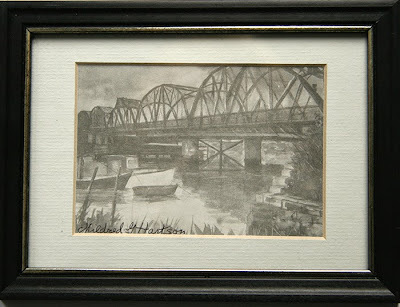 This is a photo of a small framed print of the Green Bridge which spanned the Merrimack River from Newburyport to Salisbury, MA from 1902 until 1976 when the Gillis Bridge was built. 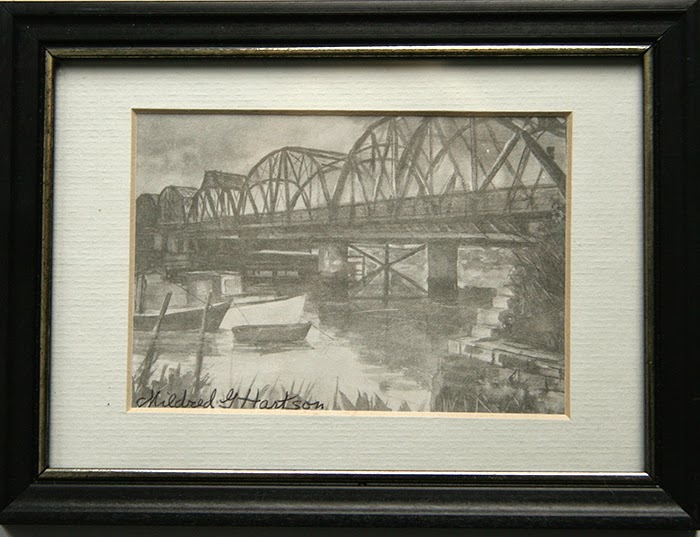 I have essay coming about this print by Mildred G. Hartson in the Newburyport Daily News. I'll post a link when it is published.